Study reveals that 12% of boats sold in the US were purchased by people who submitted a lead on a Boats Group portal prior to completing their boat purchase. Boats Group consumers are engaged boat buyers that ultimately purchase both new and pre-owned boats. Monday, April 2, 2018 (Miami, FL): Boats Group has announced the findings from its in-depth analysis of US sales leads across three of its sites – YachtWorld, Boat Trader and boats.com. One of the key factors revealed by this analysis is the continuing rise of new boat sales, giving valuable insight into consumer trends across the boating industry as a whole. InfoLink Technologies, Inc., a respected research firm in the marine industry, conducted the lead analysis for Boats Group to identify consumer purchase behaviors and provide market intelligence. The firm evaluated more than 2.68 million unique consumer households across Boats Group’s portals between October 2013 and September 2017, identifying that 16.3 percent of these households ultimately purchased a boat. The lead conversion rate increased by 35% (from 12.4 percent) and a total of 580,000 boats were purchased by Boats Group users since the last time this study was conducted in 2013. Over the last five years, new boat sales have been steadily increasing coinciding with the economic recovery. This is reflected both in the marketplace and among Boats Group portal users who have been increasingly opting to purchase new boats in larger numbers than were seen in the previous study. This may be driven in part by a limited supply of “young” pre-owned inventory in the market at present due the dramatic cuts in production that were experienced in the last business cycle. Among those Boats Group consumers that made a purchase, 33 percent purchased a new boat, which is 12 percent higher than the national average. 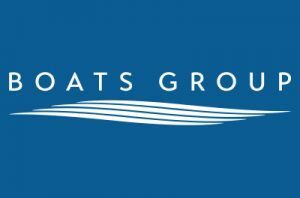 Of the company’s three portals, boats.com had the highest composition of new boat purchases with 36 percent – more than double that of the national average. Boats Group portals have very strong penetration among new boat buyers given the role they play in the purchase process, from initial research and reading of reviews and articles to comparing prices in the world’s largest online boating marketplaces. “One common misconception about the Boats Group marketplaces is that they’re predominantly pre-owned marketplaces, but the study reinforced what we’ve observed from a listing perspective. As the mix of new and pre-owned boats shifts, we’re seeing more new boat purchases from our audience,” said Sam Fulton, CEO of Boats Group. Boats Group portals continue to be a prominent driver of new Saltwater Fishing boats sales, where slightly more than 50 percent of buyers submitted a lead on Boat Trader, boats.com or YachtWorld prior to completing their purchase. Additional categories of strength include Cruisers, Runabouts, Tow Boats, Yachts and Runabouts. “It is an accepted fact that most consumers are doing more research than ever and utilize the tools available to them to make informed purchase decisions. Based on our research and with particular focus on new boat sales across all boating segments, nearly one in five (18 percent) of all new boat buyers have submitted one or more leads to Boats Group portals prior to their purchase decision,” said Houseworth. Boats Group and Info-Link will be publishing further results and insights from the analysis in the coming months. countries, boasts the leading broker MLS with over 60,000 boats available for co-brokerage worldwide. boat reviews and videos, offers the largest global search engine with more than 250,000 boats for sale in 146 countries. InfoLink Technologies, Inc., based in Miami, Florida, is the premier provider of market intelligence services to the recreational boating industry. The company maintains a National Boat Registration Database that contains information on virtually every boat registered in the U.S. since the mid-1990s. With this information at its disposal, Info-Link provides clients with valuable insights into the overall size, structure and key dynamics of the U.S. boating market while also monitoring the consumer purchase patterns and behaviors that shape the industry. For the past 19 years, Info-Link has worked with stakeholders throughout the industry including boat and engine manufacturers, retailers, marinas, finance and insurance companies, and industry associations as well as federal, state and local government agencies.